Donate your car/motorcycle to ISPTR and receive a tax donation. Roxanne Kremer, Executive Director, Founder & Naturalist, has devoted her life in helping animals and indigenous natives to protect their natural habitat. 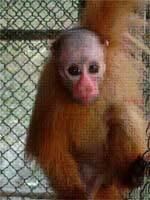 Papita, one of our rare & endangered Red Face Uakari monkeys. We have an “Adopt a Monkey Program”, $45.00 a week will feed and care for one monkey. 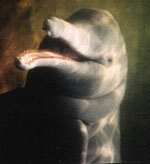 Roxanne is doing her best to raise funds to go back to the Brasilian Amazon to once again work with the goverment as she did in 1986 to protect the whales off the coast of Brasil and made laws to protect the Pink River Dolphins, too. At that time, Roxanne called up her friend John Perry who took an 85-foot whale balloon named “Flo” around the world to bring awareness of the killing of so many whales. She called him from Brasil and he shipped her a 35-foot whale balloon. The first parade she organized was in Sao Paulo where there were over 4,000 protesters walking along side of the whale balloon down the main streets. She then took the balloon to the capital of Brasil, Brasilia and then to Rio De Janiro. There she was invited to go on the famous children’s show Xuxa. She asked all the children to write their president to stop this horrible killing of their whales. Stop the Japanese from taking 800 Mink Whales for “scientific research!” The whales won and the president had a way out of their requests. To this day, Roxanne is proud to say, “not one whaling factory has reopened they are all shut down.” YEAH! 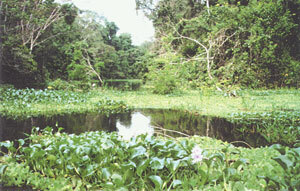 More than one million species of plants, insects, fish, mammals, etc. will have become extinct because of man’s greed& deforestation. Experts claim a rainforest area the size of Texas vanishes each year because of illegal commercial logging, fishing & animal poaching. 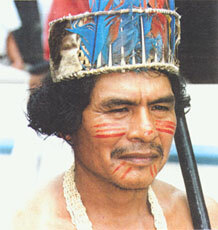 We represent “AMAZON VOICES & CRIES” of all inhabitants of the Tropical Rainforest. We are an American non-profit foundation and we are counting on YOU the people of the world for support to continue our grassroots effort of over 28 years..
We at I.S.P.T.R. 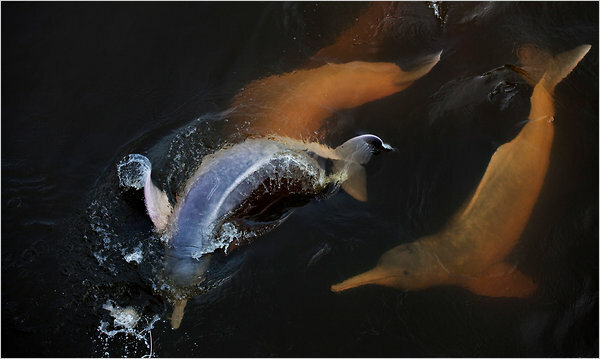 & P.A.R.D.-EXPEDITIONS, S.A., are very excited to share with you SOME of our unbelievable experiences with the BBC- TV who filmed a documentary at our lodge “DOLPHIN CORNER’S” this summer in Peru called “SERIOUS AMAZON.” It will be televised internationally at the beginning of 2006 on “DISCOVERY FOR KIDS.” Eight talented “YOUNG ADVENTURERS” were selected out of 29,000 applicants from England, Scotland and Ireland. Their major undertaking was to construct a 1/2 brick and 1/2 chain link fence enclosure 30′ x 30′ x 10′ as a breeding habitat for our rare and endangered Red Face Uakari Monkeys. By working day and night and with great effort, despite those pesky mosquitoes bothering them under the night lights, they accomplished this huge endeavor. 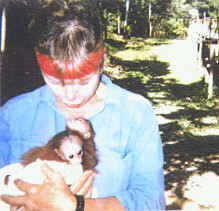 We are very proud and appreciative of all their hard work to help save a species from extinction. We can do the work, but we need resources! We need help! URGENT: Now that our monkeys are grown up they need a new shelter! At a time when the world seems poised on the brink of environmental catastrophe, it is easy to succumb to feelings of despair and hopelessness. Yes, there are complex problems to be solved and serious challenges to be faced head-on. By opening our hearts, rolling up our sleeves and working with the people at governmental and village levels, ISPTR/PARD is exerting a positive influence on the fate of the rainforest and all of its inhabitants. Despite the “prophesies” of some doomsayers, there is hope for these magnificent repositories of biological diversity because we are making a difference and you can make a difference too! With your donations you will be “giving us the precious breath of life.” The inhabitants of the Amazon Rainforest thank you!